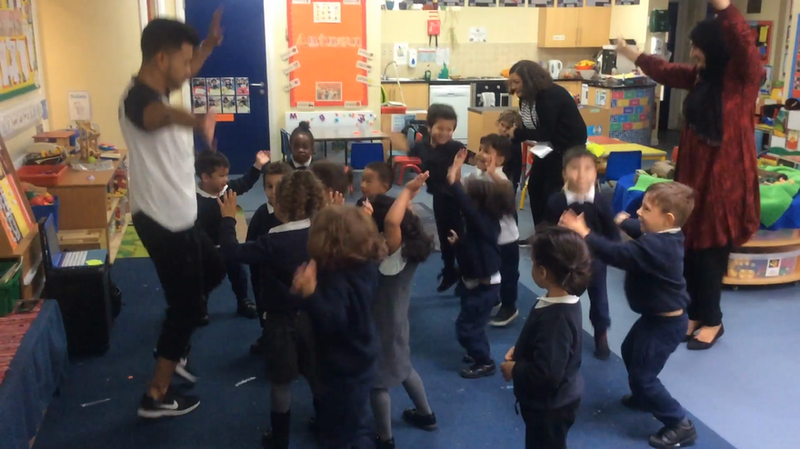 Don Rae came in to school to teach dancing to the children to celebrate Black History Month. 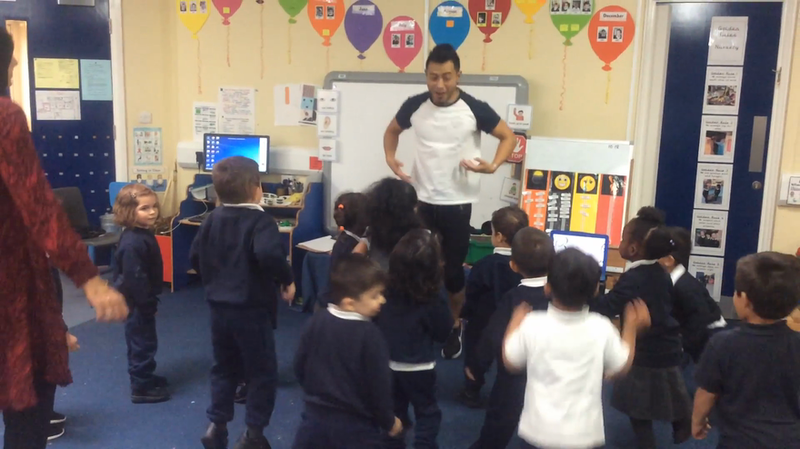 The children copied his actions and followed instructions as they danced. They pretended to paint an elephant using their hands, elbows and even their noses! Nursery class were very excited and it was wonderful to see so many happy faces!